Shukuru Rudahunga keeps a wary eye on the steep slope above her as she weeds her patch of sorghum in the eastern province of North Kivu, in the Democratic Republic of Congo (DRC); she knows the risks are deadly. Landslides have killed several people in nearby Kinsati, 40km from the city of Goma. "If it's been raining and I see the earth breaking up, I stop working and get off the hillside," she told IRIN. Erosion also washes away seeds, plants and soil fertility. Villagers know that to protect against soil loss, they should fallow the steeper slopes after just a few seasons. But “we don't do it because there isn’t enough land", Shukuru said. The over-cultivation has also resulted in plummeting yields. Teacher Gabriel Hanyurwa remembers that, in the 1980s, farmers harvested 20 sacks of beans per hectare on land that now yields only six to eight sacks. The land shortage results in part from population growth and in part from the expansion of cattle ranches. "Since the ranchers brought their cattle here, we haven't had enough fields," Hanyurwa said. "The ranchers prefer to put their cattle in the same places that we want to cultivate," another villager, Therese Tusali, said. In a 2010 paper, ‘Land, Power and Identity: Roots of violent conflict in Eastern DRC’, author Chris Huggins noted that recent decades have seen “massive alienation of land held under custom” in the Kivus in favour of cattle ranchers. Residents in Kinsati and elsewhere have had little say in this process. Land disputes are key drivers of conflict in eastern DRC, and they hinder development across the country. Some researchers argue that agrarian conflict, rooted in issues of land rights and citizenship, is the principal cause of the Kivu region's wars. 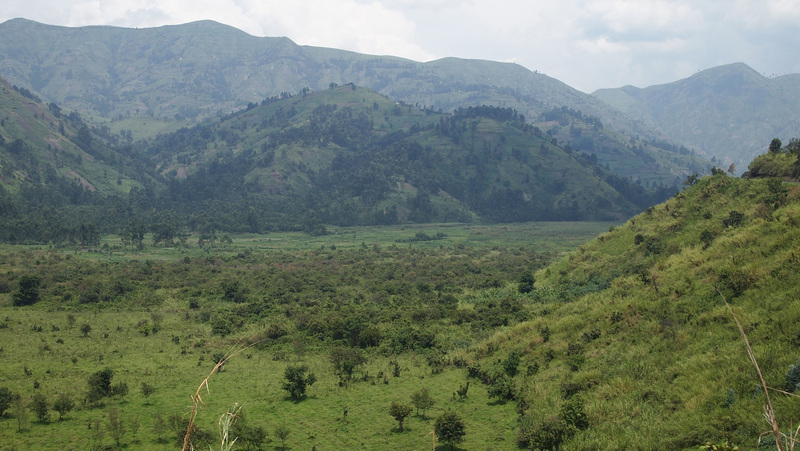 Population density, colonization and large-scale migration from Rwanda have all made access to land a critical issue in North and South Kivu. A corrupt judiciary and a flawed land law compound the problem. In his 2007 book, From Genocide to Continental War, Gerard Prunier describes the extent of “land grabbing” during the presidency of Mobutu Sese Seko as “incredible”, citing the attempt by one businessman in 1980 to take control of 230,000 hectares; the average land holding was less than one hectare. Land grabs, particularly from displaced communities, have continued amid the wars of the past two decades, and the prospect of an eventual land commission that might investigate these transfers has been a “sustaining factor in conflict”, Huggins has argued. Through their work resettling displaced communities, aid agencies have become involved in mediating land disputes. UN Habitat runs the largest of these programmes. In 2012, its three mediation centres in the region identified 1,690 land conflicts and resolved 641 of them. A conference in Belgium in September 2012 reviewed donors’ interventions in eastern DRC’s land problems; most of the spending had been on mediation. Koen Vlassenroot, who convened the meeting, says it was agreed that “mediation only seems to have an impact on conflicts between individual farmers; once larger players such as big landowners or army commanders are involved it’s very, very difficult”. Conference participants were also concerned that mediation projects had “an acute lack of coherence, coordination”, and sustainability. Vlassenroot noted that there are two other main interventions to help resolve land issues: assisting the registration of land claims - which has had “limited results” and involves “all sorts of problems” - and locally driven efforts by farmers’ organizations to work on a land reform process. A report by International Alert highlights local efforts by the Forum of the Friends of the Earth (FAT) and the Federation of Congolese Agricultural Producers’ Organizations (FOPAC), whose success in lobbying for the integration of key issues in the new agricultural code offers “a grounded approach to peace-building”. These interventions have had much less support from donors. Lobbying by FAT and FOPAC led to the inclusion in the agricultural code of a provision for the mediation of land disputes, as well provisions for identifying and reallocating unused concessions and greater representation of “peasants”, or agricultural workers, in local decision-making. However, the government has yet to agree on implementation measures for the new law. These organizations are currently advocating reform of the land law, which fails to define customary land rights. Chiefs were legally stripped of their traditional land allocation powers in 1975, but many continue to exercise them. FAT and FOPAC have held consultations with farmers’ organizations in several provinces, including a forum in Goma, North Kivu Province, in October 2012. At the forum, many recommendations were put forward for improving the land law, such as ending land registry officials’ immunity from prosecution for “mistakes”, publicizing details of unjust land transfers and revealing the ownership of unused land concessions. But none of these politically sensitive recommendations figured in the FOPAC newsletter, which recorded only that participants had called for customary chiefs to respect their predecessors’ land allocations, for taxes on title deeds to be reduced and for tenancy documents issued by chiefs to have legal status. No vote appeared to have been taken on these or the other recommendations. 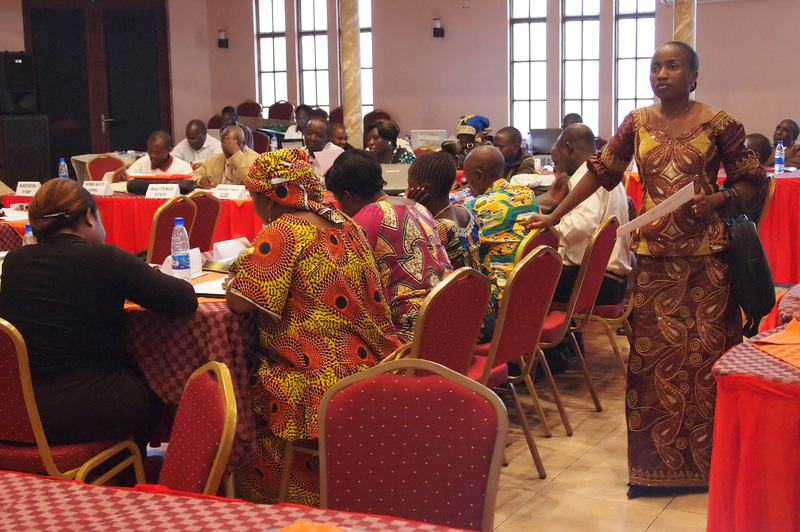 Participants at the forum agreed that the peasant associations need to strengthen their representation at the local level and their communications with smallholders. Jean-Baptiste Musbayimana, who broadcasts for FOPAC, told IRIN he would like to include more phone-in programmes in his broadcasts, a “bottom-up” format popularized by the UN’s Radio Okapi in DRC, so that rural people can share their views on the problems in their communities; currently, the only two-way communication broadcast by FOPAC on the radio is about agricultural prices. The good news, says Vlassenroot, is that the government appears willing to address land issues nationwide. At a workshop in Kinshasa in July, the government and UN Habitat worked out a “road map” for reform of the land law and land governance. The deputy cabinet director at the land affairs ministry, Albert Paka, spoke to IRIN last month about the reform process. He agrees the government needs to hasten reform by taking the first step on the road map: appointing a steering committee to coordinate work on the process. But determining who rightfully owns land, and even who is permitted to own land, will be a major hurdle. The new agricultural code, for example, limits foreigners’ share of DRC farmland investments to 49 percent; Paka confirmed that the government intends to revise this clause. Revision of the clause will likely be a precondition for new foreign investments in DRC agriculture. Paka said DRC might go the way of other countries and buy up customary land, hinting that such land could be sold to foreign investors. Further research will be required before any decisions can be made, he said. Huggins’s research suggests chiefs’ ownership claims tend to be strongest in the most densely populated areas, where land shortages are most acute. Government land purchases in these areas for resale to foreign investors could therefore be highly controversial. “Recognition of customary chiefs will be the cornerstone of land governance,” Paka stressed. Asked if there would be safeguards against unjust decisions by traditional chiefs, Paka said that if the chiefs were to be recognized as land custodians they would be part of the administration, and would be guided by its technical experts, whose capacity needs to be reinforced. He declined to speculate on how land administration might change if government at the chiefdom-level is democratized. Paka indicated that government intervention will be necessary to help DRC reach its agricultural potential. Even though land shortages are a concern, he pointed out that a recent study showed 73 percent of agricultural land around Kinshasa is unused. The National Confederation of Agricultural Producers in the Congo told IRIN that most of the land around Kinshasa is unused because it has been bought up by speculators in anticipation of biofuel investments.